Teaching kids about endangered species, one tail at a time. Concepting, designing and building a mobile app that teachers kids and parents about endangered species with an immersive game. 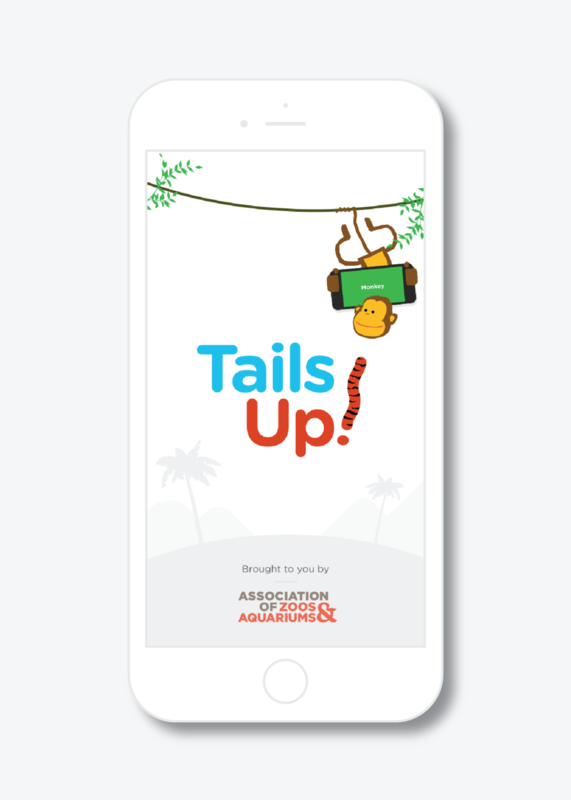 We partnered with the Association of Zoos and Aquariums to create a fun, entertaining and highly engaging mobile app that aimed to bring awareness to kids and parents about endangered species. Today, the TailsUp! app — available for both iOs and Android — continues to be evolved with new animal categories and challenges, bringing fans of the game back for more.